Doyle Dykes is an American country acoustic guitarist. 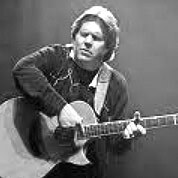 He has influenced by a wide variety of musical styles and musicians such as Chet Atkins, the Allman Brothers, to the Beatles and U2. Cited along with guitarists such as Tommy Emmanuel as one of the best finger-style guitarists in the world, he is also known for his capability of playing proficiently with a wide range of different guitar tunings.